The Canadian government has appointed Mairead Lavery as the new president and CEO of Export Development Canada, the country’s export credit agency, effective February 5. Lavery joined EDC in 2014 as senior vice-president of the business development group. She came to EDC from Bombardier after 16 years in various leadership roles, including vice-president of finance, strategy, business development and structured finance and transformation and shared services. “I am very pleased that Lavery has accepted to serve as president and CEO of EDC. 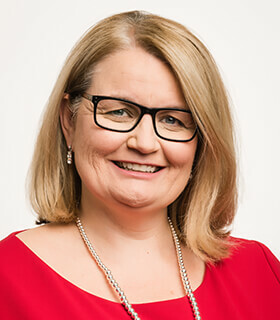 Her extensive experience in finance, strategic planning and corporate transformation, along with her passion for EDC’s mandate, will be invaluable assets when leading the corporation as it continues to evolve to meet the changing needs of Canadian business,” says Martine Irman, chair of EDC’s board. Lavery succeeds Benoit Daignault, who has been with EDC for 15 years and served as president and CEO for the last five years. GTR understands that Daignault will leave on February 4 to take some time off. According to EDC’s figures, in 2018 it served over 13,000 Canadian companies through its research, connections, financing and insurance solutions – a record amount for the corporation.